Saratoga Springs is one of the largest resorts at Walt Disney World. It is spread out over 65 acres, and is home to the Disney Vacation Club Preview Center. 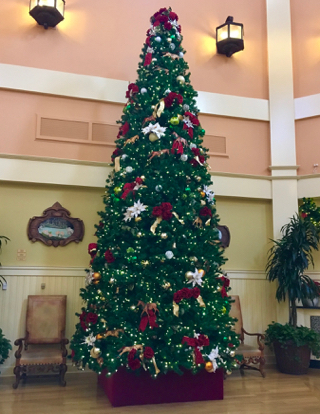 There is a nice size Christmas tree in the lobby.